My Top 10 Cute and Colorful Girly Summer Blouses for Women! It’s time to wear summer blouses ladies! As a girly woman, of course I also love summer clothes, including cute summer blouses! 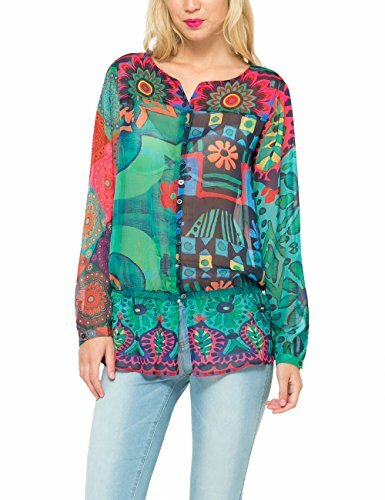 Well, it is a gorgeous and cheerful blouse, usually floral or very colorful, made from silk, rayon or any other lightweight fabric! They are also usually very flattering and youthful! It’s summer after all and you don’t want to wear something that will leave you sweating buckets! *The one in the picture is a gorgeous and elegant 100% silk floral top with a very feminine V-back. It is perfect to wear daytime or to go out for dinner as well, as it is also fancy. As you can see it is perfect to wear with black pants or a black skirt. I decided to create this page showing you my favorite summer blouses for women! They are perfect for women of all ages who want to feel beautiful, young and alive this summer, wearing fun colors and floral prints! Don’t ever underestimate the power of a cute blouse ladies! Now to the husbands and boyfriends out there: if you know your woman’s size, (it’s not that hard guys… she is either a ‘small’, ‘medium’ or ‘large’ size…. but of course NEVER tell her that!!) surprise her this summer with a beautiful blouse! 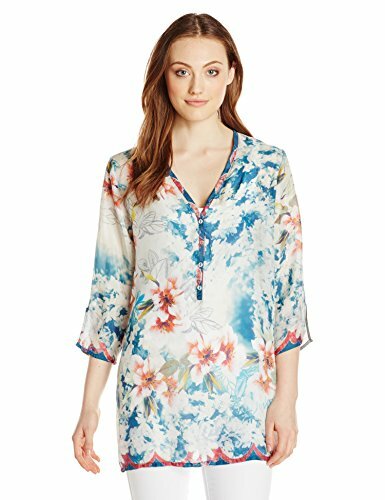 Very cute high quality silk floral summer blouse! I am ALL about comfort and floral stuff! That’s why I love silk! It is a very light material and it just ‘flows’ almost barely touching your body! 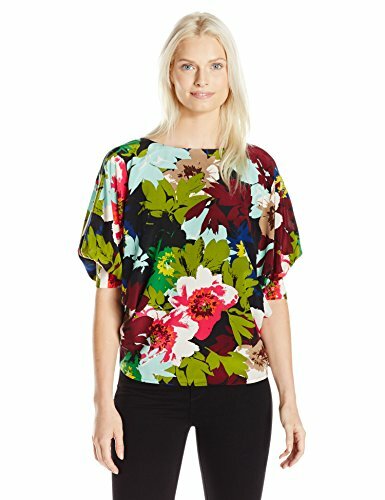 Look at this gorgeous and very feminine silk floral blouse! Very delicate, very girly and the best of all ladies: very flattering! I LOVE clothes that can ‘make’ us look skinny! It’s available in most sizes, from x-small to x-large. Gorgeous Asymmetrical Black Floral Tunic! For a nice summer evening! Who says you can’t wear black during summer time? 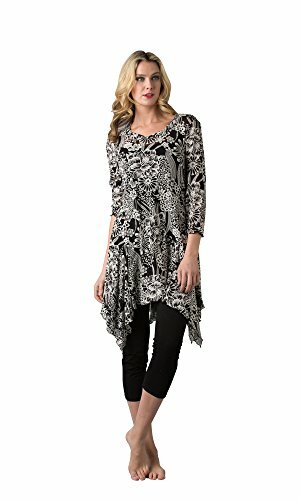 This gorgeous and also very feminine black and white floral tunic is just perfect! It is not only beautiful, but also extremely comfortable and flattering on the body! Just pair it up with some black leggings, some nice flat shoes or black sandals and you are all set! Fun Summer Blouses for Women! Summer is all about bright and vibrant colors! Look at this cute, fun, girly and very ‘happy’ hearts print summer top! You can wear it at night, with a beautiful pair of black pants, just like the lady you see on the picture, or during the day with a cute white skirt or white shorts! What color are you ‘feeling’ today? 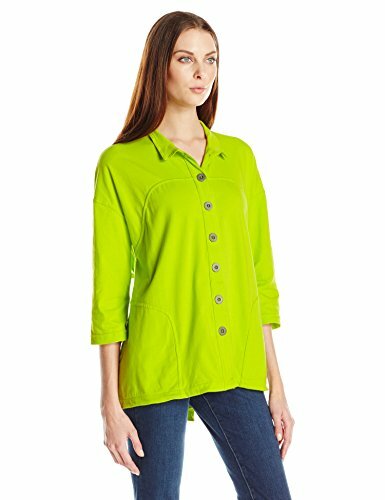 How about wearing a Fun LIME GREEN Shirt? How can you not feel ‘happy’ wearing this? One of the most FUN colors to wear for summer is LIME GREEN ladies! It’s also made of 100% cotton! It is extremely soft and comfortable to wear! Colorful Rainbow Blouse for the Summer! There is nothing more beautiful than a gorgeous rainbow in the sky after some summer rain! If you know me or my girly taste, you also know that I LOVE rainbows! If it resembles a rainbow, I’m in! 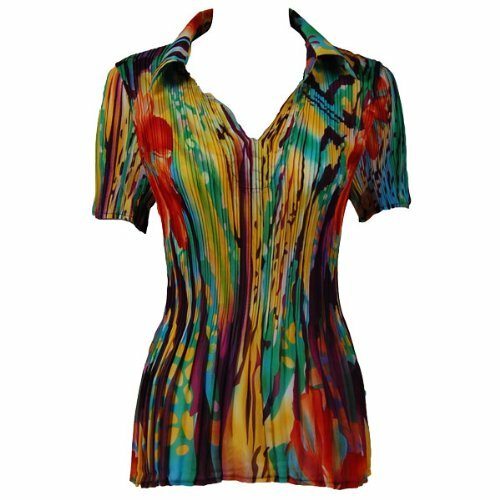 This cute rainbow blouse is colorful enough! Look how flattering it is! 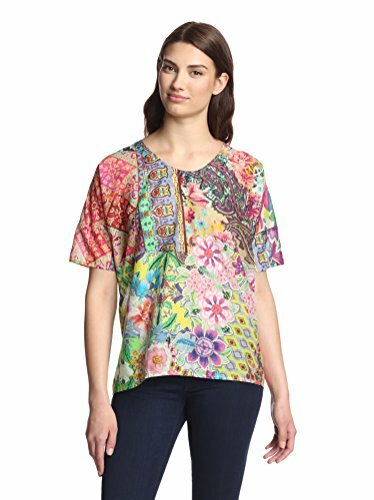 Stunning Floral Cotton Blouse for Women! First of all they are comfy, loose fitting, have lots of flower designs all over them and have gorgeous summer colors!! The style and design is perfect for wearing anytime, anywhere! You can wear them with a comfy pair of capri pants, jeans or leggings! The Most Colorful Summer Blouse! I just found my perfect summer blouse ladies! I love COLORS and ‘cuteness’! This blouse has all that and more! 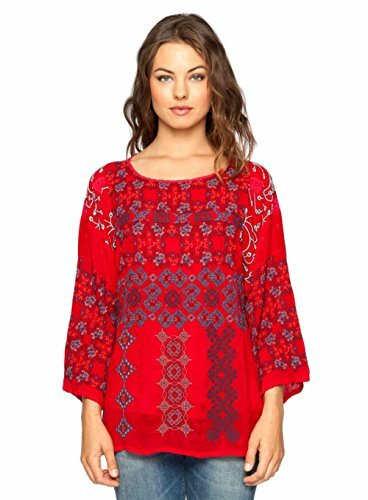 Very Girly Bright RED Rayon Blouse for the Summer! What I most like about this cute blouse is that it’s so unique and stylish, isn’t it? It’s a A BUTTERFLY Blouse! Cutest Summer Blouses for Women! I see cute and colorful butterflies! 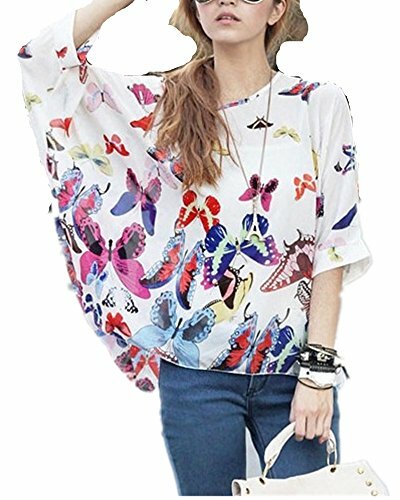 This is a very cute, very girly and very cheap colorful butterflies print loose top for sale! Besides being very cheap, it is also available in 12 fun colors and designs! Fun Dresses for the Summer! Cute Loose Fitting Tops for Women! Cute Retro Style Bathing Suits for Women!